I have a problem when I watch this tutorials. I put the PlatSil(but not Platsil Gel-25,the PlatSil made in China) into the NSP mold,but a few hours passed, contact with NSP mold where the Platsil gel can not be curing, any place where no contact with NSP material is available. 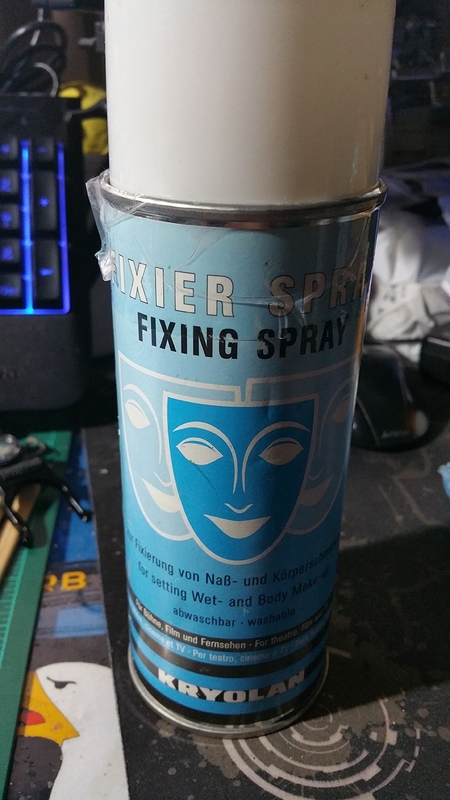 Before that, I also used the KRYOLAN Fixier Spray to fix the model surface. So I don't know what's wrong with it. Please help me or give me some advice, anxiously awaiting your reply, thanks. The NSP clay should not inhibit the curing of platinum silicones. What brand of clay are you using? Did you spray anything into the mold, and if so, what? Is it possible the silicone was not mixed thoroughly? Any other contaminants come in contact with the clay? Have you used this brand of Chinese PlatSil before with good luck? Does this batch cure properly if mixed and poured into a clean cup? The clay I used is NSP clay. I use "fixing spray(made by KRYOLAN)" into the mold, like Neill have done in the tutorials. 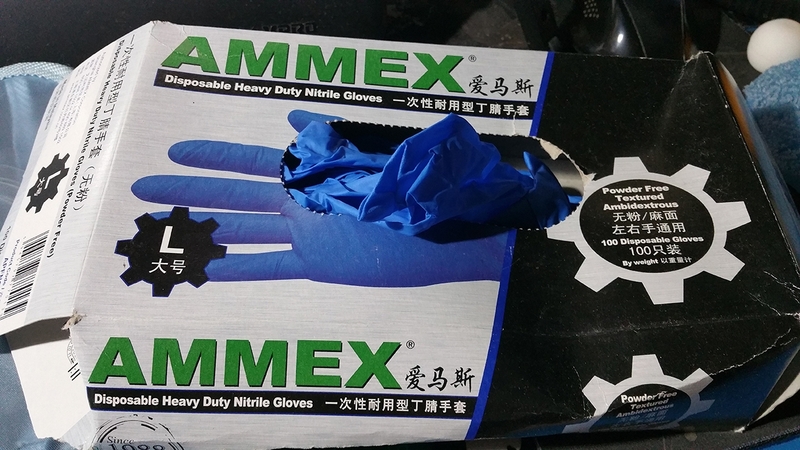 Yes,I awayls wearing nitrile gloves when mix the silicone, but didn`t touch the silicone. 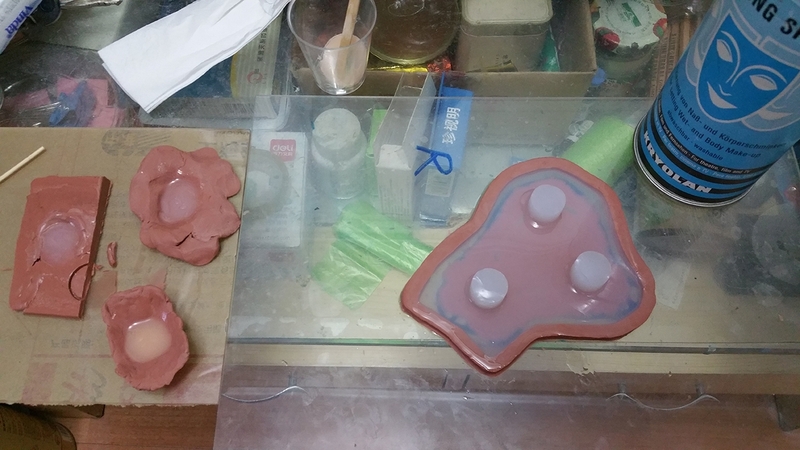 And I didn`t wearing nitrile gloves when I making the clay mold. I`m sure the silicone was mixed thoroughly. There is no other contaminants come in contact with the clay. The brand of Chinese PlatSil I uesd will be cure properly if mixed and poured into a clean cup, that`s no problem. 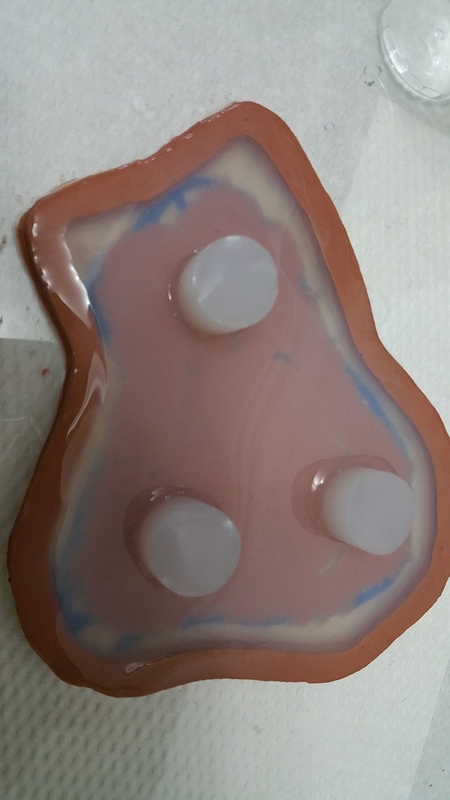 And any place the silicone where no contact with NSP material is fine. So, I don`t know what`s wrong with it. Strange. 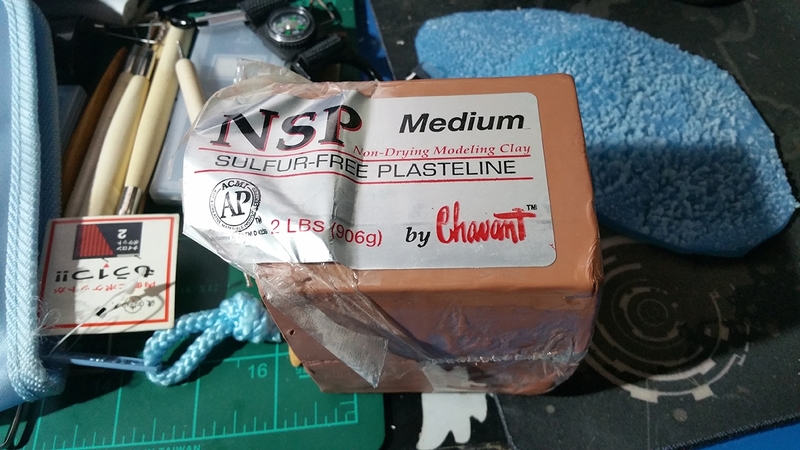 The Chavant NSP clay would not inhibit the curing of the platinum silicone, and neither would the nitrile gloves. So both of those should be good. I would mix up some small test batches to try and detect the cause. Make a couple tiny bowls out of the clay. Spray the fixing spray on one and leave the other untouched as a control. Then mix up a small amount of silicone and spread some into each bowl. I assume the silicone you had in your original mold is still gummy and did not cure more over time?